Gareth Steenson insists Exeter Chiefs will not be holding back as they look to secure home advantage in this season’s Aviva Premiership play-offs with victory over London Irish on Sunday (3pm). Already guaranteed a top four finish following last weekend’s home win over Gloucester, now the defending champions need just two more points to ensure Sandy Park plays host to a third successive semi-final. However, standing in the way of Rob Baxter’s side in Round 20 will be an Irish outfit, who despite their lowly position still harbour hopes of pulling off the great escape in these final weeks and preserving their place amongst English rugby’s elite for another season. An impressive victory at Harlequins a week ago not only netted them vital points at the foot of the table, but also gave them the perfect fillip ahead of entertaining the Chiefs at the Madjeski Stadium. 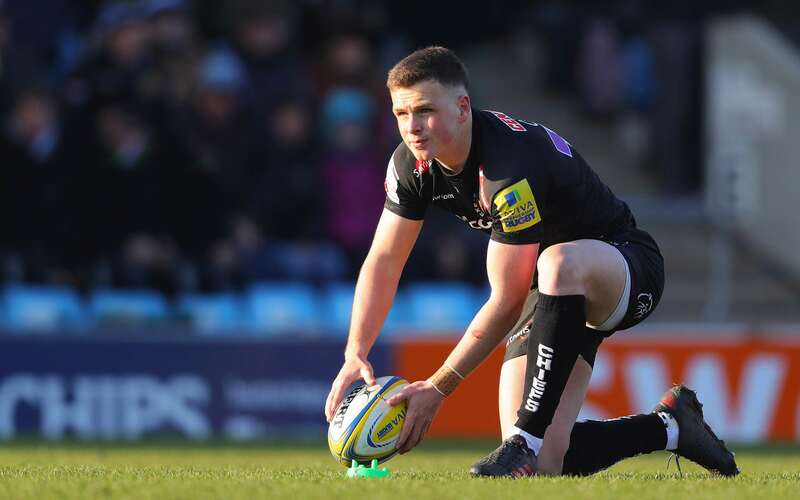 Fly-half Steenson, one of a handful of changes the Chiefs have made to their starting line-up from last week, is aware of the potential banana skin that lies in wait for him and his team-mates up in Reading. That said, the 33-year-old playmaker believes it’s the ideal challenge to ensure Exeter maintain their focus leading into the business end of the season. “We know we’ve still got to get two points to guarantee a home semi-final, so there’s still everything to play for in our eyes,” said Steenson. “There will be no holding back from us, even though we know were in the top four. Everyone is excited about what is ahead of us. “Sunday is the challenge we want as a team, so there will be no holding back. If you hold back or take it easy in any way, that’s when you will come unstuck. Every game between now and the end of the season is a big game. As I said, we know we’re in the semi-finals, but we want that home advantage. Steenson returns to the No.10 jersey for the first time since Northampton Saints visited Sandy Park back in February. In the meantime, the long-serving back - who is celebrating 10 years at the club this season - has had to play back-up to Joe Simmonds, whose sparkling form in the Premiership was rewarded earlier this week by him being crowned the league’s Player of the Month for March. An injury to Simmonds means he misses out against the Exiles this weekend, but Steenson has been quick to pay tribute to his club-mate, whose fine form is helping to bring the best out of both players. Competition for a starting role is nothing new for Dungannon-born Steenson, who over the years has seen off numerous rivals to establish himself as the club’s record points-scorer of all time. 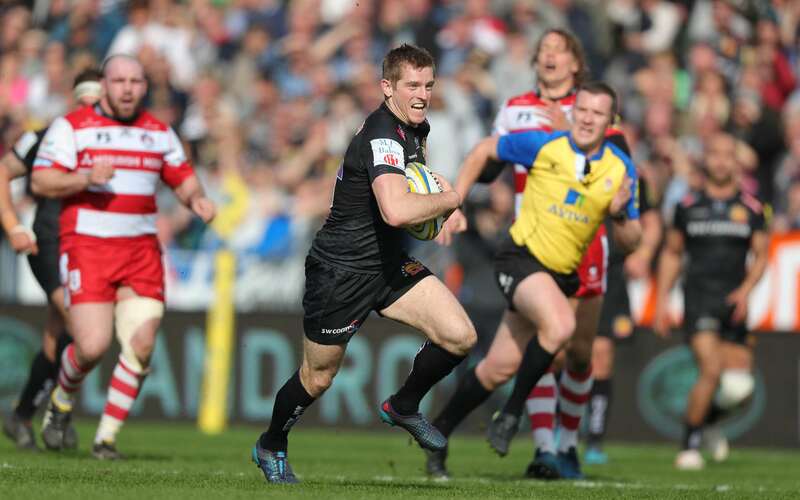 As well as kicking the Chiefs into the Premiership back in 2010, Steenson has since gone on to land over 1,400 points in the top flight, including the title-winning kick at Twickenham against Wasps last May. He will be looking to add to that haul against Irish on Sunday, but further down the line he’s also more than happy to pass on his years of experience to Simmonds should the need arise. “I’ve worked with Joe now for nigh-on two years so we have got a good relationship,” he said. “But we have those relationships going on throughout the squad, it’s not just in my position. “Older guys tend to pass on knowledge and bring young fellas through and it’s great whenever you see it happening.He’s a very level-headed kid, there’s things in his game - he takes everything in his stride really well and he’s still very young in his development. High praise for Simmonds, but for now Steenson has his own role to play, starting against the division’s basement club.